Finding the best and professionally efficient New York warehouse painting service provider is a tough job for almost all business owners and top level management staffs. The best Warehouse painting NY service providers are not only expected to be skilled and versatile in their Painting NYC work approach, a good quality Painting Contractor NYC has to be equipped with the latest tools, aware of the latest, productive, and cost efficient paint-products available in market. Furthermore, the New York warehouse painting expert company must have well trained workforce to perform the Painting Contractor NYC responsibility at its best. Construction Repair NYC, the reputable Paint Contractor NYC specialist company, has achieved all these benchmark qualities and that is why it is being counted as one of the best painting contractors in New York in the related market with sound professional versatility. Warehouse painting NY by Paint Contractor NYC is done not for aesthetic beauty only. It has some other utilities like wall protections leverage that includes weather proofing, ensuring proper moisture prevention, damp proof wall, etc. Well known, Warehouse Painting Contractor NYC does thorough research on the best suitable painting products and offers the most appropriate paining solution as per the budget, requirement, and client’s guidelines. In terms of offering professional Painting Services NY, the company, Construction Repair NYC offers proper guarantee of their done work. Construction Repair NYC offers their Warehouse Painting Services NY under strict deadline. The work is never quality compromised and the Warehouse Painting Contractor NYC Company never delays in completing their project. In fact the Warehouse painting queens NYC, gladly offers 100% guarantee of their work, which is an additional satisfaction for the clients. When comes the question of Warehouse painting Queens NYC costing, the painting specialist Painting Company NYC always offers justified quote. It is neither out of the market rate, nor is it too low that is difficult to digest. The Paint Contractor Company NYC never offers a quote without inspecting the site; therefore each quote from Construction Repair NYC is unique and fully customized. 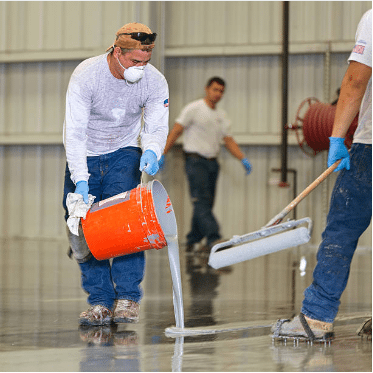 Once the project is undertaken the warehouse Painting Contractor NYC offers the no-obligation free quote for its customers. Construction Repair NYC is very much concerned about the safety of the involved workforce as well as about the wellbeing of all its clients. Warehouse painting NY jobs are done by the company with best care and precaution, which is good for the clients as well as for the working team. Looking for hiring an expert for Painting Contractor Queens NY? Contact Construction Repair NYC today for enjoy the privilege of visiting for an onsite inspection and availability of obligation-free quote.